Food may very well be the crux of homesteading. 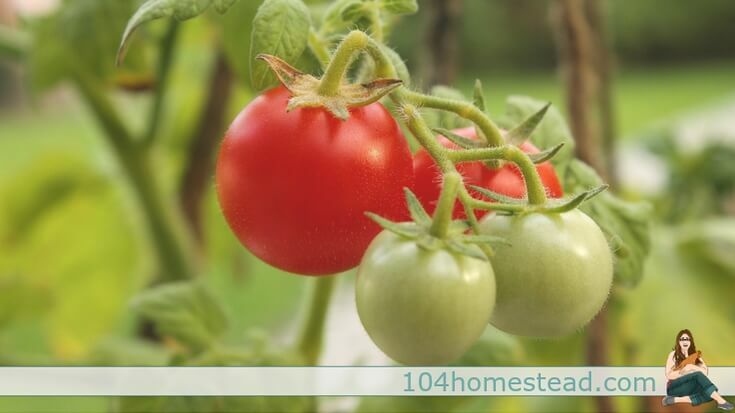 Homesteaders are growing food, cooking with it, and preserving it. You may think you don’t have the space or time to be dealing with growing food, but I assure you, this is a step of homesteading that anyone can do. Everyone, seriously — everyone, should be growing indoors. Window sill gardens are a great way to grow food. Herbs are often grown on kitchen window sills, but don’t stop there. Leafy greens are great candidates for indoor gardens. Like most herbs, they don’t have high light requirements, so you could even keep them near the windows and free up valuable space for the big guns: vegetables. Let’s talk about important things you need to know about how to grow indoors. Drainage is important when potting plants. Your pots either need to have a layer of stones at the bottom or they need holes in the bottom with some sort of catch so excess water doesn’t drain all over the place. You’ll need a good potting soil. This is not the same as seed starting soil, which tends to be finer. You can purchase pre-made soil for potted plants or you can make your own. Know your sunlight. Windows with full sun are obviously a rare commodity in most homes, but with the right planning, you can get the biggest bang for your sunlight buck. Give preference to to plants that absolutely need full-sun. These are the plants that produce fruits, such as peppers and tomatoes. The right plan can truly maximize your space. If there isn’t a full sun window in your home, consider grow lights. The food you harvest will more than recoup any cost involved in running the lights. If you’re fortunate enough to have a porch or balcony, you can bring your pots outdoors. This means that light won’t be quite as much of an issue, but consistent temperatures may be. Unless you have a frame of some sort, you will be forced to garden in these spaces during the time frame that is typical for your area. Frames can easily be assembled from PVC conduit and weatherizing plastic, but the majority of your gardening would be done in the spring, summer, and fall unless you live in a temperate climate. When it comes to porch and balcony gardening (or all container gardening for that matter), think beyond a single layer pots. Containers can stack or being hung to get the biggest bang for your space. Containers can also be created out of just about anything. Instead of nursery pots or store bought containers, try converting free things like coffee cans, mixing bowls, or wash tubs. Just remember to provide drainage first. The best part about using containers is you can relocate them if you need to. If the sun is scorching the leaves you can move them closer to the shade. If an unexpected frost is headed your way you can move them into the house or garage. Many people who have land use containers for those very reasons. 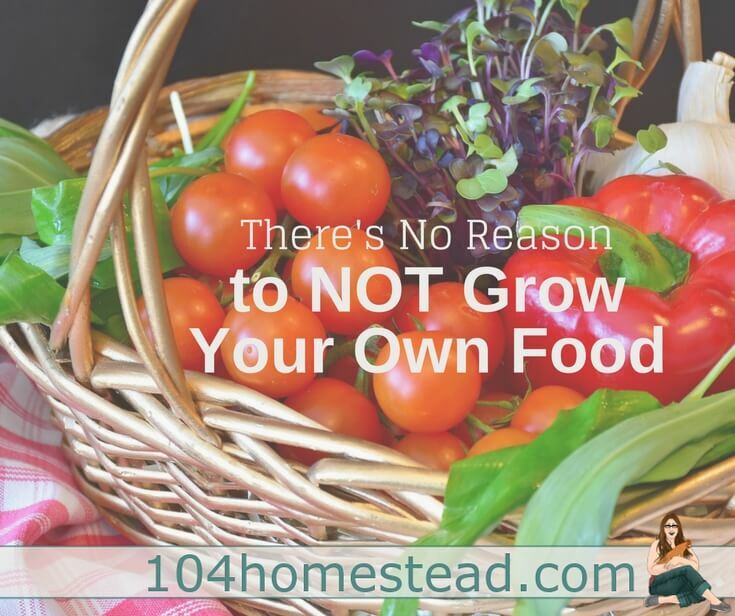 You may not have the time, energy, or space for a traditional garden, but that doesn’t mean you can’t still grow your own food. Using traditional spaces in a non-traditional way is the key. You can train beans to grow up your mailbox or line your walkway with culinary and medicinal herbs. You can plant grapes so they grow up the side of your house or use high-bush blueberries to create a privacy screen along your property line. If you can’t have or don’t want a full-scale garden, focus on easy, high-yield edibles. This means avoiding one-hit-wonders like broccoli and using your space to grow things that continue to produce throughout the season. Cucumbers, tomatoes, peas, beans, berries, and kale produce regularly through the growing season. These are the types of edibles that will save you money at the grocery store. They also happen to be foods that taste best straight from the garden. 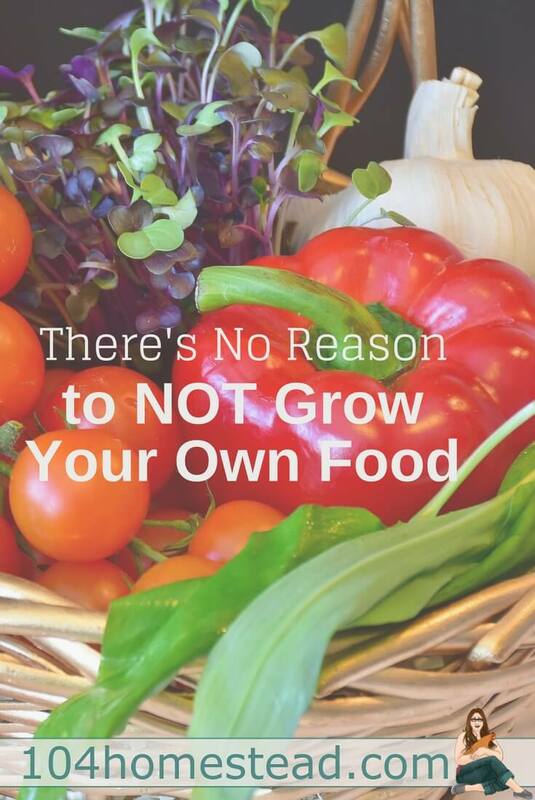 So what’s stopping you from growing food? My blueberries I have planted five years and are big but no sign of blueberries? How many years it would take to get the fruits. Thanks I enjoy your website very much and learning a lot. Great weekend. It typically takes 3-4 years before you start seeing fruit. After that, the plant will alternate between an “on year” with lots of berries and an “off year” with less. Great ideas for urban and apartment gardeners! Small space intensive growing like square foot gardening can be used in containers and pots too for maximum usage of space! Thank you for sharing!